Dr. Roger Barnsley, founding president of Thompson Rivers University, is an outstanding leader. 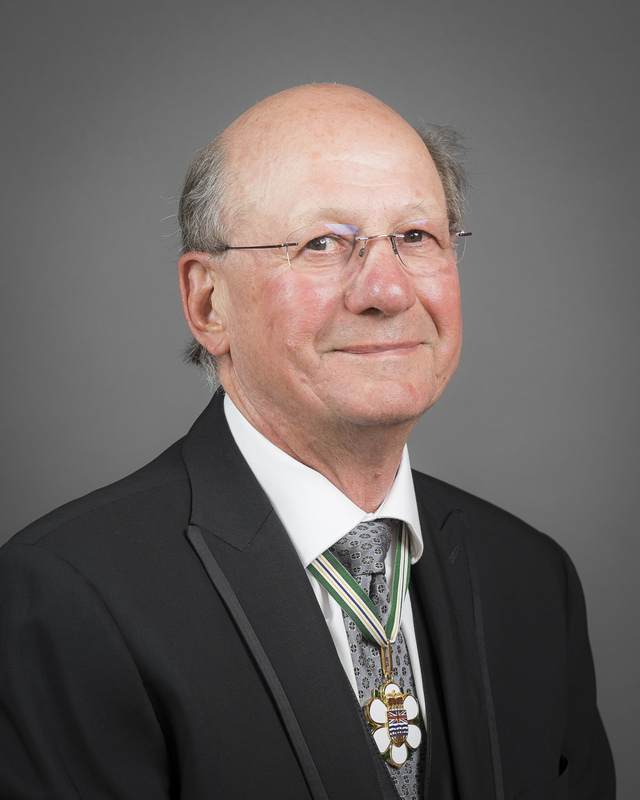 As president of the University College of the Cariboo from 1998 to 2004, he effectively and passionately communicated the importance of a university for Kamloops and the region to its citizens and the government. The powerfully coordinated “Friends of UCC” led to the establishment of TRU in 2004. Thompson Rivers University is recognized as a progressive leader in forging partnership opportunities with business and industry to support the education and training needs of the region and province. TRU responded to the needs of First Nations students by developing and implementing a comprehensive Aboriginal education plan in consultation with First Nations communities. Enhancements to campus facilities, academic courses and programs were made in support of Aboriginal students’ achievement and success. Dr. Barnsley’s vision and guidance facilitated the emergence of Kamloops as a university city and facilitated the strategic development of TRU World. TRU annually enrolls up to 2000 international students from over 80 countries. It supports strategic partnerships around the world that include over 1000 offshore students studying to earn TRU degrees in their home countries. TRU World also provides opportunities for TRU students to participate in study abroad. Since retiring in 2008, Roger Barnsley has served as Co-Chair of the British Columbia Council on Admissions and Transfers and as a director of Island Health.